Looking for a place to put your tired feet after a hard days work.. 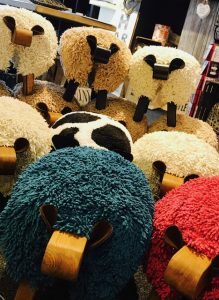 Check out these beautiful, quirky and locally made sheep footrests available at Cuckoo’s Nest. Available in lots of lovely colours with black or oak stained bodies. Call 01558 822004 to order your very own. £110 and £125 including delivery. Seen something that takes your fancy?